We have been in the Direct Marketing industry since 1986. Our Account Executives can help you develop a custom campaign that will resonate from start to finish with your audience, helping you achieve a better ROI for your marketing dollars. 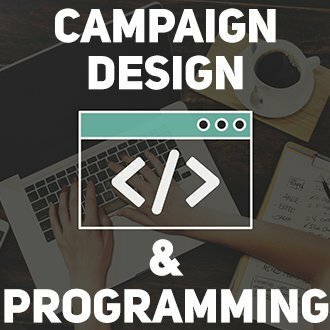 We have a programming team that will work directly with our clients to captivate their target audience with advanced projects and custom programs. We are only a phone call away to update scripts and start new projects from the ground up.